Amazingly Warner Bros has decided to take the opportunity at Comic-Con 2016 and release a teaser trailer for next years up coming Justice League film. Coming 'hot off the heels' of one of the most controversial superhero films, Batman vs Superman: Dawn of Justice which I personally thought was brilliant and has to be the best interpretation of BATMAN ever to grace the big screen. Ben Affleck nailed the character in every way. Playing Bruce Wayne as the swarve and sophisticated 'billion heir' to his execution of the Dark Knight as true to the comics as I've ever seen. A towering muscle machine with a one way mission to basically "get the job done", wearing a costume that's more faithful to the mythos ever to be seen. Although I'd rather see a smaller chest emblem, but I suppose they have been true to the actual Dark Knight graphic novel! Yes, the the film did have a few problems just like any other film, but to say that it was too difficult to follow was just plain stupid! The decision to reveal Justice League footage ahead of Suicide Squad and Wonder Woman comes only one month after Warner Bros. made another bold move: inviting press to the set of Justice League and allowing attendees to post story details, set impressions, as well as interviews less than a week later. 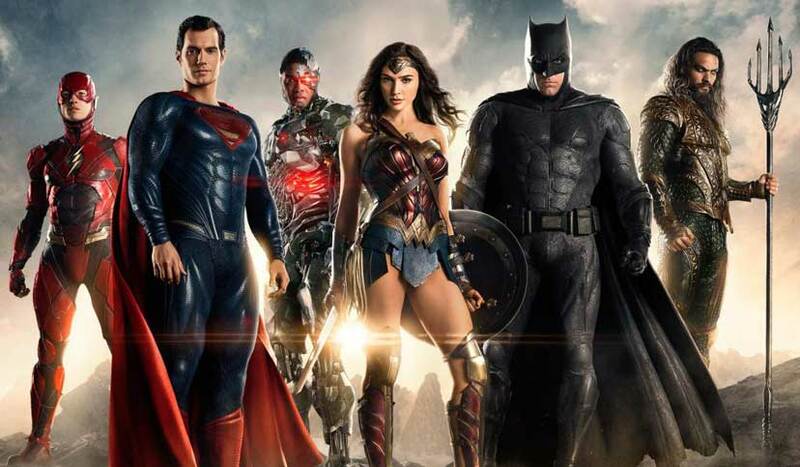 Just like Comic-Con 2014’s Batman V Superman rooftop clip, the Justice League teaser is equally brief but gives fans an enticing taste of what the heroic superhero team will look like together on screen. In addition to continuing the events of Man of Steel, Batman V Superman: Dawn of Justice also introduced audiences to the characters Cyborg, Flash, Aquaman, Batman and Wonder Woman, as well as Lex Luthor - no small task and is where a lot of the complaints came from for the film. Now that the foundations have been laid - I can't wait to see where Warner Bros. is going to take the DC heroes going forward. The Comic-Con teaser is way too short to draw any concrete conclusions regarding whether the film is lighter than Batman V Superman, but there are some pretty kewl 'quips' in the trailer, or how big a role any one hero will play, but there’s no question that much like The Avengers “assembling,” it’s exciting to see the Justice League joining forces to face whatever is heading their way. If I could book my ticket now, I so would!